The Magnificent Flying Machine – K’lee and Dale’s Cosmic Photo Challenge: State of the Art: Yesterday, Today, or Why Not Tomorrow? | Pictures without film. 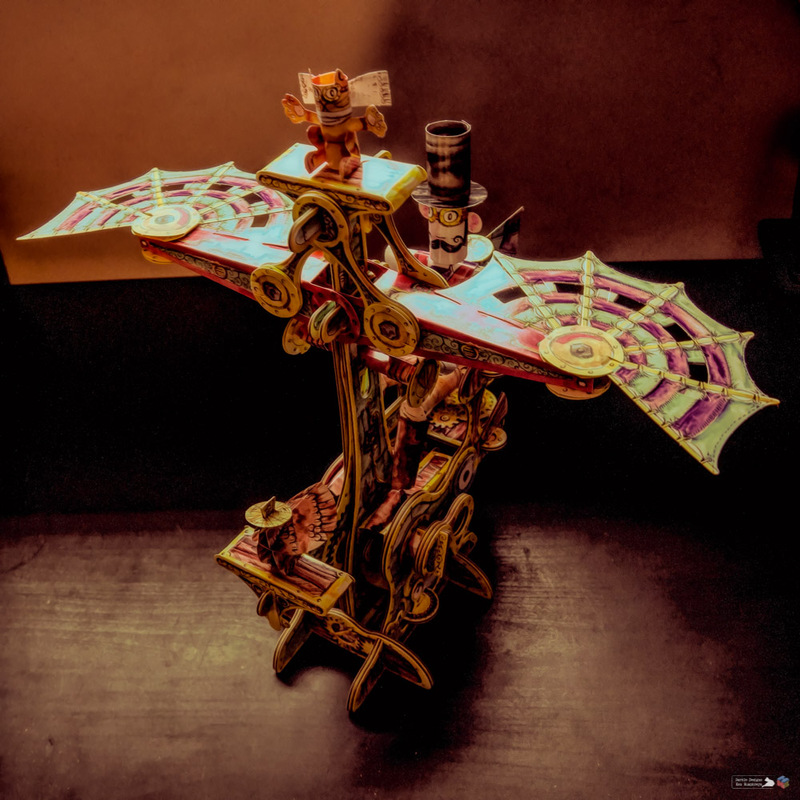 The Magnificent Flying Machine – K’lee and Dale’s Cosmic Photo Challenge: State of the Art: Yesterday, Today, or Why Not Tomorrow? This week, I take on the task of coming up with a fresh new challenge for you to consider. I think I’ve got just the one: State of the Art: Yesterday, Today, or Why Not Tomorrow? I am sure that this machine would be considered ‘State of the Art’ in its imagined time frame. ‘The Magnificent Flying Machine’, 2019. ‘Up, up, and away’, 2019. I had great fun building this kit, a gift from friends. 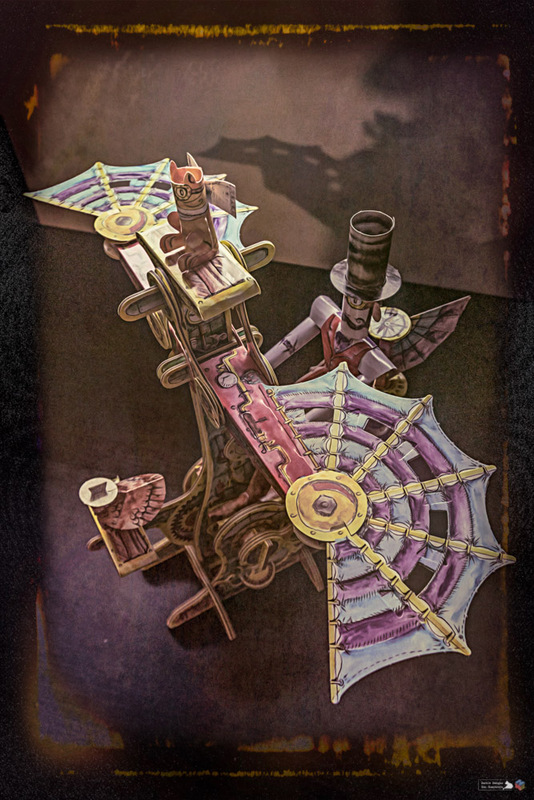 It is a paper and card automaton from http://www.totallyglueless.co.uk, and as the name suggests requires no glue to assemble. You turn the handle the wings flap and the gentleman cycles the machine. Wow, that’s a fantastic model, I love it. Sorry I was a little late with today’s post, please could you add your pingback for this to that one, too. Thanks. This is fantastic! Thanks for joining in on our challenge this week!